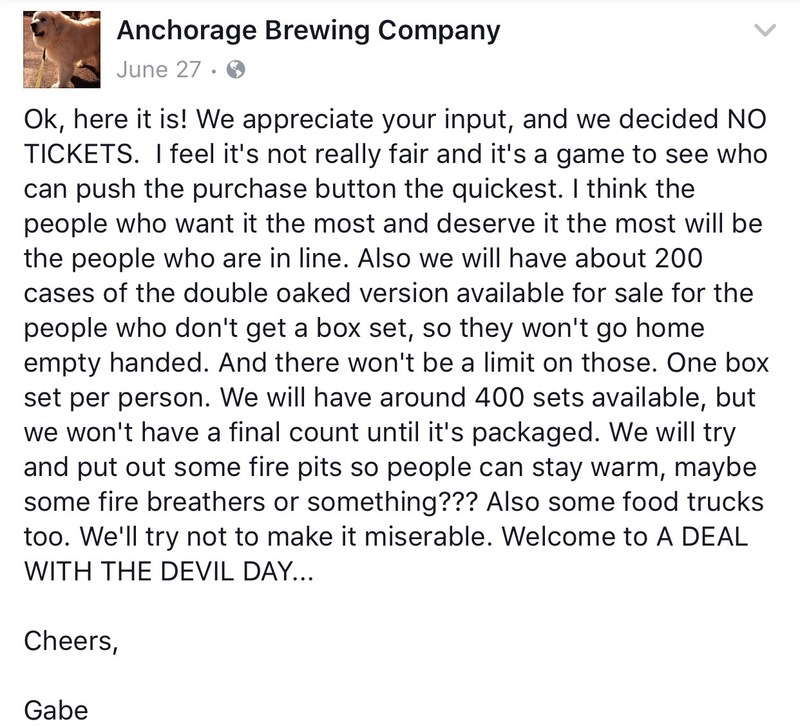 The donner party on sugarwater: the 10/28 adwtd release in Anchorage will be hilarious. Hahahha this is like American Ninja warrior meets Alone for doughy beer nerds. Maladjusted dudes fly thousands of miles to Alaska in October to compete for sugar water. They will face no guarantee of allotment, girlfriend disapproval for leaving Halloween weekend, freezing conditions, hours in darkness spent sitting outdoors in the snow and dropping nearly all of their expendable income for this “vacation”/shot at malty immortality. I can’t wait to see the cargo shorts and scotch guarded north face fleeces, soaked etnies, frozen over plugs having shares in tundra conditions with bottles so cold that you can’t even taste the contents. Bonus points for the steam breathing redfaced assholes who go on a Chaplinesque Gold Rush to the great north with hopes of reselling their bottles. This has all the makings of the best beer release event to ever happen ever. Loving the Chaplin reference. Imagine if somehow this beer scene was around for him to lampoon before talkies. It would have been priceless.